Yes, this one’s for you guys. With the whole noise surrounding chaandbalis and belt bags, don’t think we forgot you. Here’s a list of places you can snag some cool accessories from and change your whole dressing game. It’s time to slay. 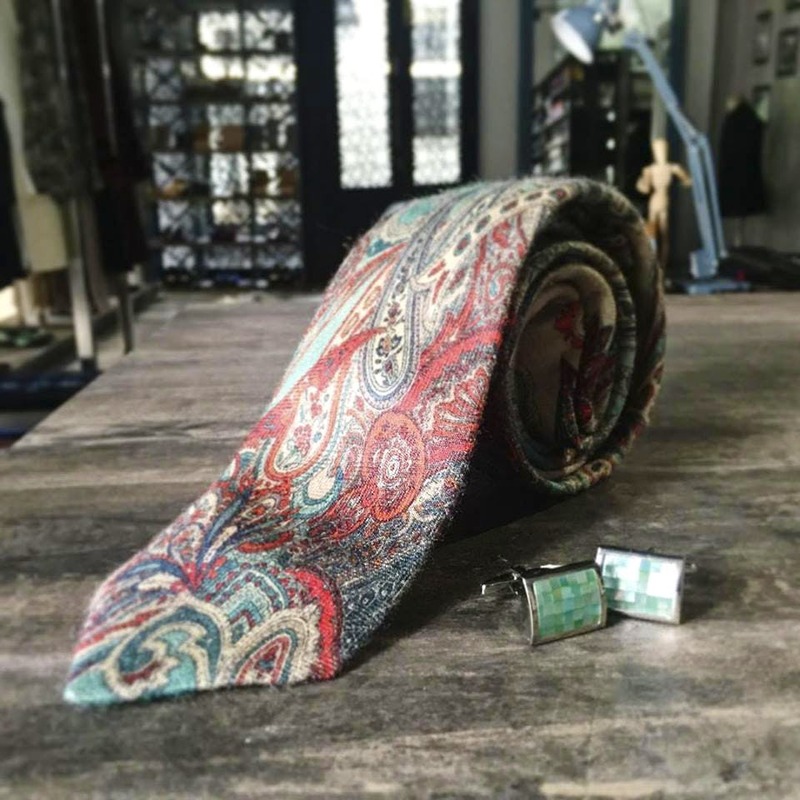 A Chennai-based online label, Recherché offers great accessories for men. From whacky bow-ties (acrylic and wooden ties with geometric patterns) to cufflinks (batman themed) and brooches, you can choose from an array of options at budget prices. Offering an array of vegan fashion options for men, Monk Story has great accessories too. Made with sustainable materials, you can find classy bow-ties, backpacks, messenger bags, wallets and cardholders here. In addition to bespoke leather shoes, Lazaro also offers an extensive collection of cuff-links. Embellished with crystals, zirconia stones, engraved metallic ones, you get cuff-links in a variety of shapes and colours here. You can even pick out ties that complement the colour of your stones in the cuff links here. From knitted leather bracelets and wristbands to sunglasses, Yolo, a Chennai-based online label has some funky and colourful accessories for men. They also have first-copies of belts and watches of international brands like LV, Hermès and more. With sophistication in everything being the motto of this store, the accessories from Gabbana. Life also stands to make the same statement. From pastel lapel pins and pashmina silk ties to silver coated cufflinks, designer buttons and brooches with intricate detailing, you can find a range of statement accessories at this store. Love ties? Bheru’s Classics offers some quirky ones starting from about INR 350. From bright Santa Claus prints to New Year themed ones, along with funky graphic ties that come printed with computers, snowmen, flowers, balloons, there’s plenty to choose from. Along with trendy casual clothing, Matthew Garments also has rad accessories such as sunglasses, ties, suspenders, wallets, backpacks, belts, and even fanny packs. With its affordable pricing, you can totally go all out without hurting your bank account too much. Think we forgot something? Let us know in the comments below.